RV camping is a great way to celebrate Thanksgiving with family and friends. What better way to use time off than traveling to fun new places this Thanksgiving break. However, there are some special considerations that need to be taken when celebrating Thanksgiving in an RV. Here are some suggestions on how to enjoy your Thanksgiving meal in your home away from home. 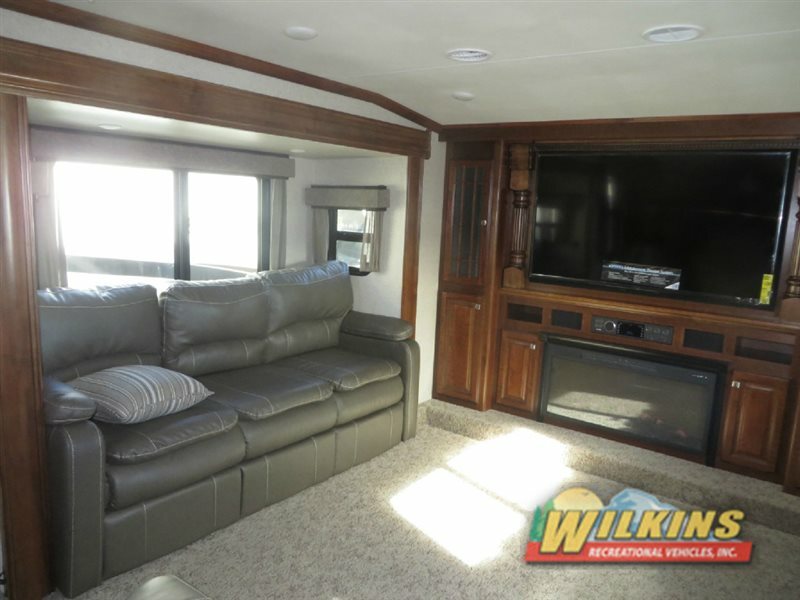 Upscale interiors such as in the Heartland Landmark 365 Fifth Wheel, will make you feel right at home. Pies, sweet potatoes, casseroles and other side dishes can be prepared a couple of days ahead and kept in the refrigerator to be warmed up on Thanksgiving Day. This not only cuts down on time but also saves kitchen space on Thanksgiving Day. 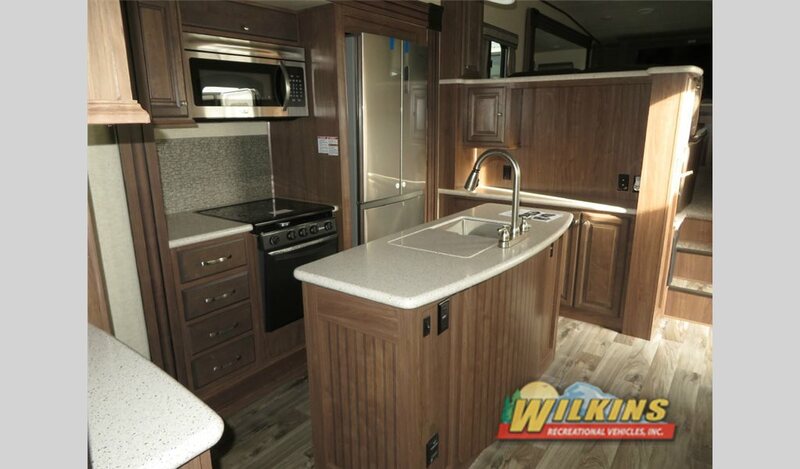 Large kitchens with plenty of counter space can be found in brands such as the Heartland ElkRidge Fifth Wheel. Thanksgiving means turkey. However, you may have to think creatively when using a smaller RV oven. Cut your turkey into pieces. by quartering the turkey and laying the pieces flat in a pan. This way, you save space, cooking time and the risk of under done meat. Grill your turkey. If you are an avid BBQ enthusiast, grilling a turkey is a delicious take on the Thanksgiving tradition. 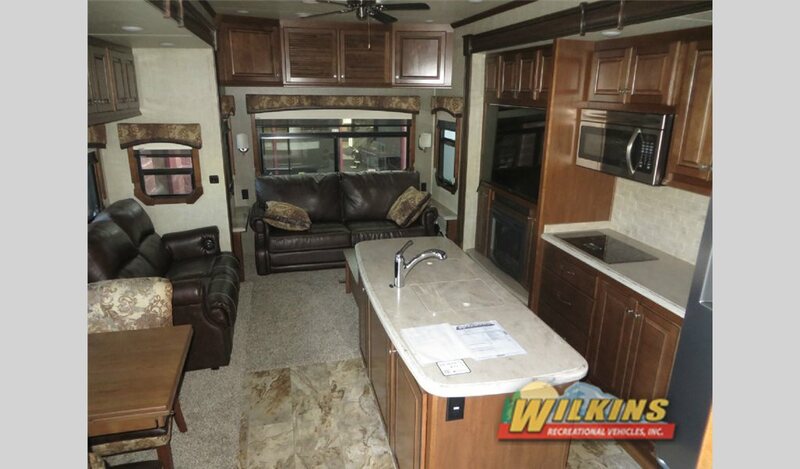 The Grand Design Solitude Fifth Wheel has modern, well appointed kitchens. Plan out your appliance use when planning your recipes. How many stove top burners do you have? 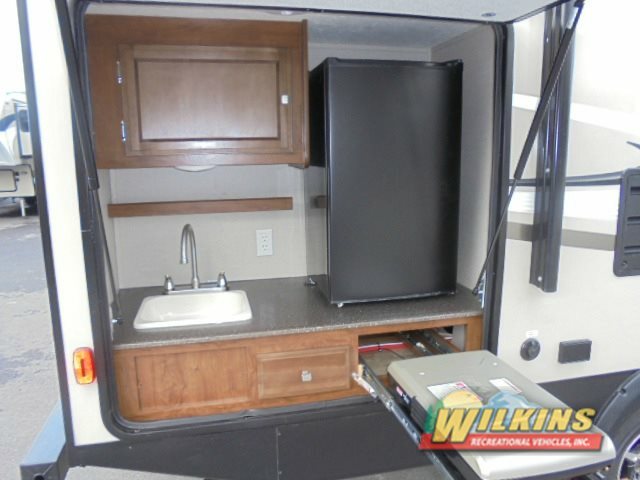 What kind of microwave does your RV have? If your RV is equipped with a convection microwave, side dishes like rolls come out browned and delicious. Bring along a crock pot for the trip. Dishes like sweet potatoes, green bean casseroles and escalloped corn turn out amazing slow cooked to perfection. Disposable, oval aluminum pans are a good choice for smaller ovens since the sides can be bent to fit smaller spaces better. Limit the amount of times you open the oven door. Every time you do, you let out precious heat extending your cooking time and using more fuel. 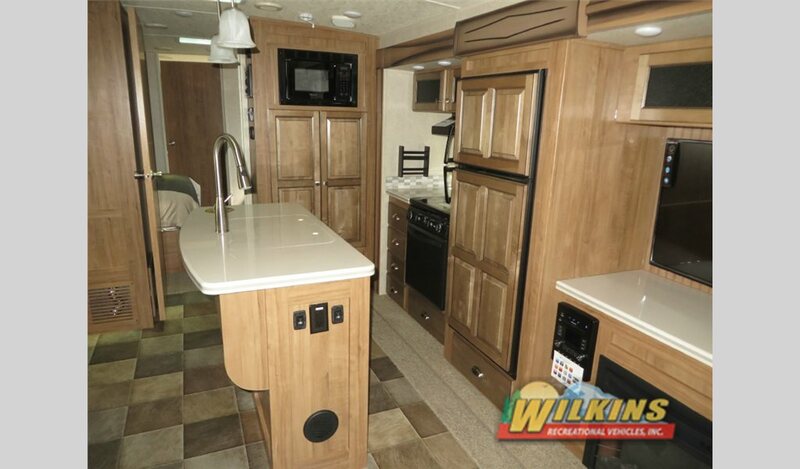 Fully equipped kitchens are easy to find in camper brands such as the Forest River Flagstaff Travel Trailers. Even if you don’t feel up to cooking Thanksgiving Dinner in your RV kitchen, you can still celebrate the holiday while traveling. Host a potluck get together with your fellow campers. This is a great way to meet new friends and divide the cooking responsibilities. Many RV parks offer a Thanksgiving Day Celebration. Contact you park ahead of time to see what special events are available. RV models such as the Heartland Bighorn Fifth Wheel provides plenty of room for entertaining new RV friends and realxing while watching the game. Consider dining outside and enjoying Thanksgiving while enjoying the beautiful scenery and fresh air. Decorating the outside of your camper can be tons of fun and offers an opportunity to show off your RV. 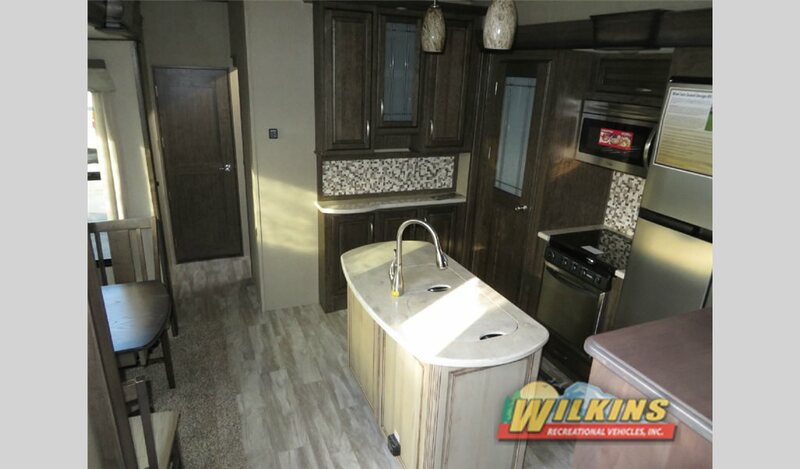 By using and outdoor kitchen such in the Coachmen Freedom Express Travel Trailer, you can maximizes your cooking capability and free up space in the kitchen. For more help preparing your RV Thanksgiving plans, Contact Us at Wilkins RV or visit us at One Of Our Locations in Bath our Rochester to stock up on supplies or tour our new RV inventory.